Our cosmic home, the Milky Way Galaxy is a vast, star-filled spiral in excess of 100,000 light-years wide, with our solar system drifting between two spiral arms at its outer edges, some 27,000 light-years from its center. Beyond that, like Earth's terra incognita of the ancient sea-faring mariners, no space craft has ever traveled beyond its opaque central disk the Milky Way to turn back and take its picture. For astronomers trying to map it, suggests Scientific American, "the effort is a bit like learning the anatomy of a human body from the perspective of a single skin cell somewhere on a forearm. 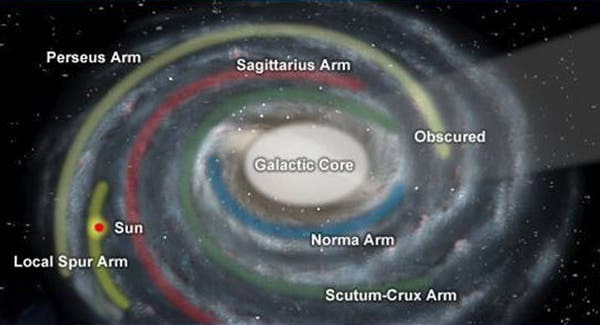 How many spiral arms does the Milky Way have, and how do those spiral arms branch and curl around the galaxy? How many stars does the Milky Way really contain? How much does it weigh? What does our cosmic home actually look like, viewed from another nearby galaxy?" Using the National Science Foundation's Very Long Baseline Array (VLBA), an interlinked system of 10 radio telescopes stretching across Hawaii, North America and the Caribbean, an international team of astronomers have directly measured the distance to an object called G007.47+00.05, a star-forming region located on the opposite side of the galaxy from our solar system by looking for radio emissions from molecular gas clouds and massive, young stars, both of which typically reside in spiral arms. 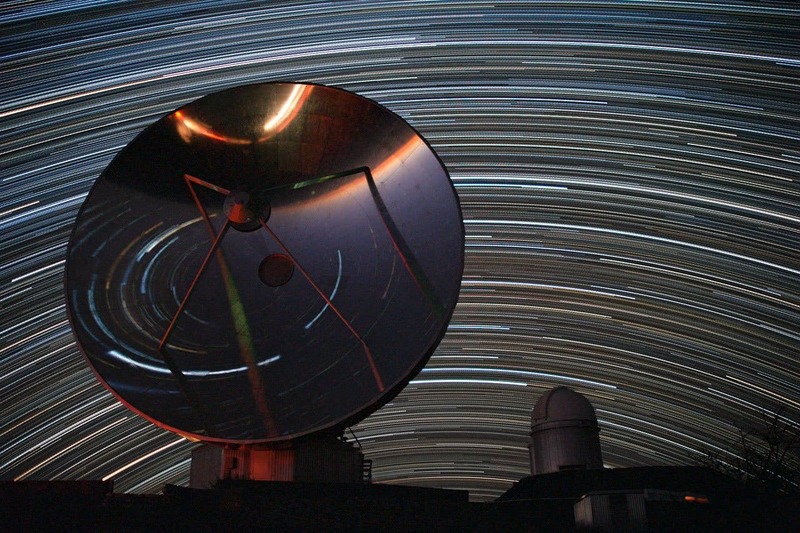 Measuring the angle of an object's apparent shift in position this way allows astronomers to use simple trigonometry to directly calculate the distance to that object. The smaller the angle, the greater the distance. Sanna, Menten, and Reid worked with Dame of the CfA and Andreas Brunthaler of MPIfR. The team reported their findings in the 13 October issue of the journal Science.